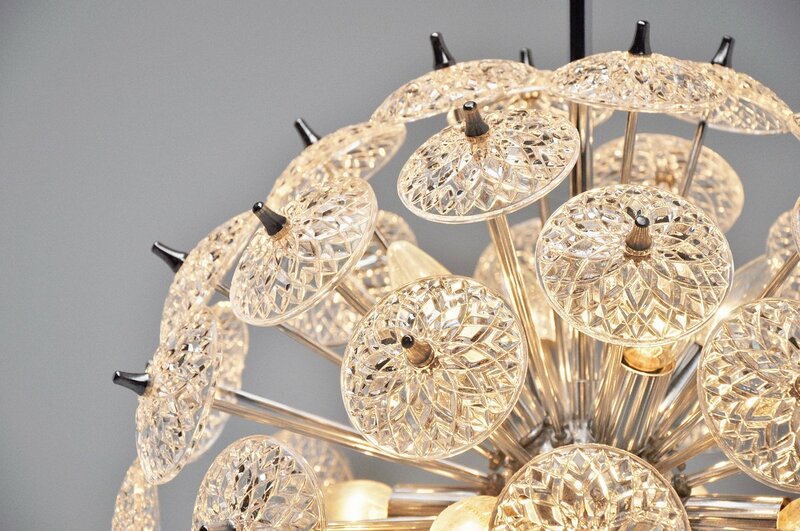 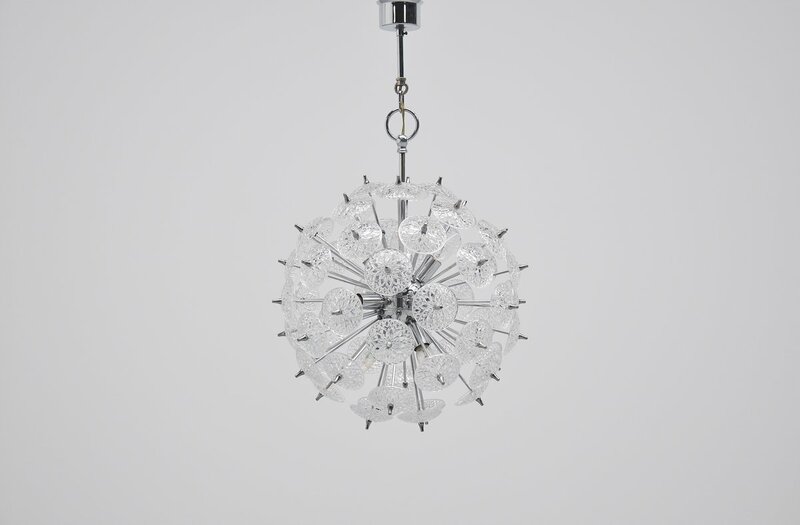 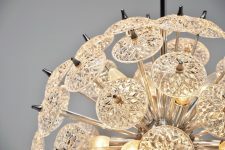 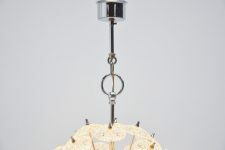 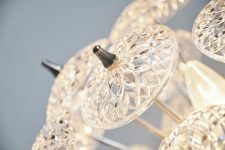 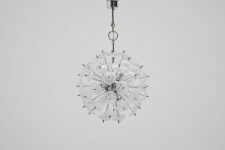 Very nice and decorative chandelier in chrome and val saint Lambert crystal glass discs made in Belgium, 1970. 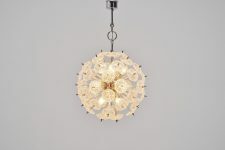 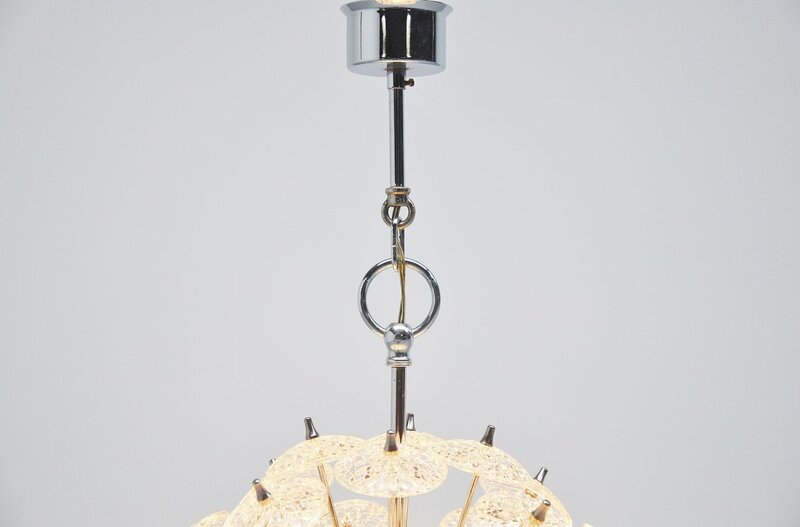 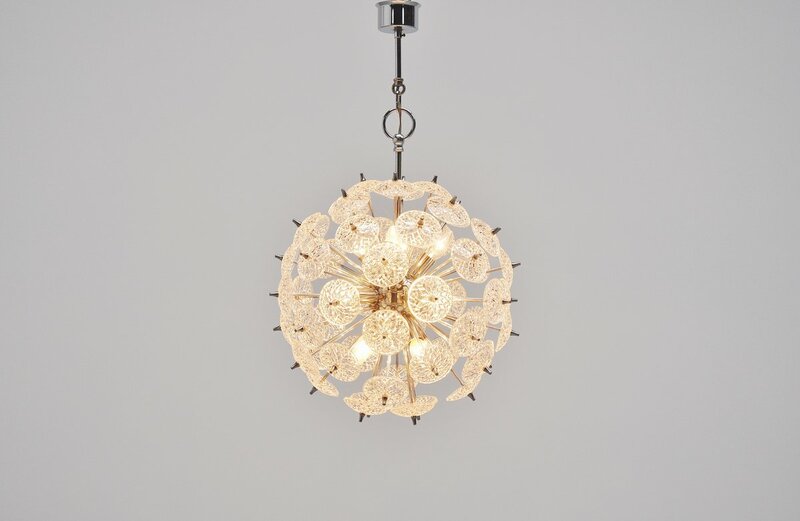 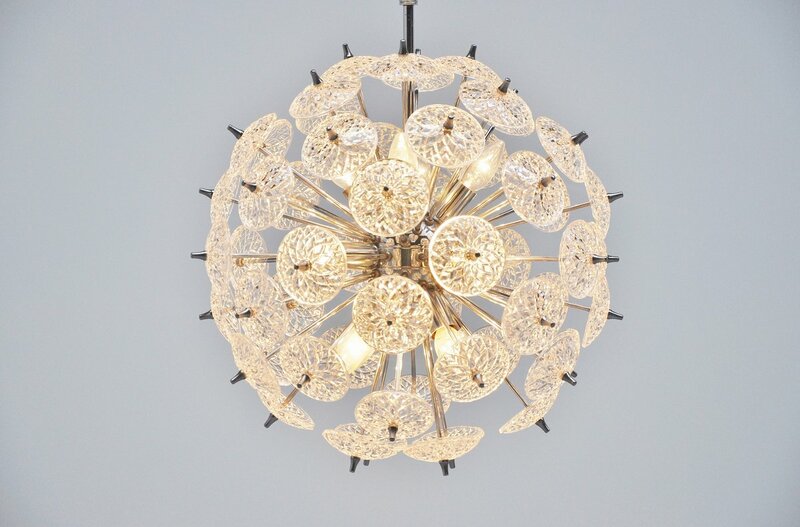 This chandelier gives very nice and warm light when lit. 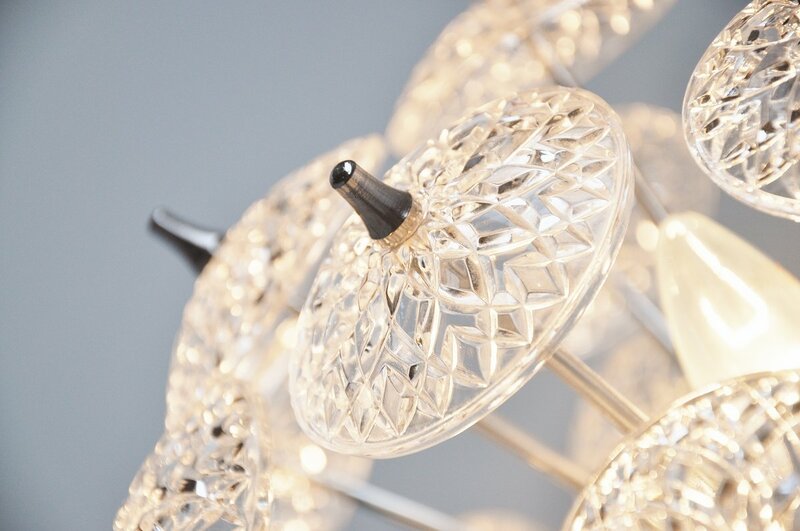 Works perfectly and all glass discs are in perfect condition. 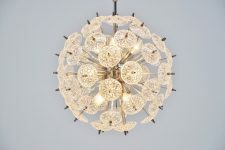 Heavy quality chandelier.